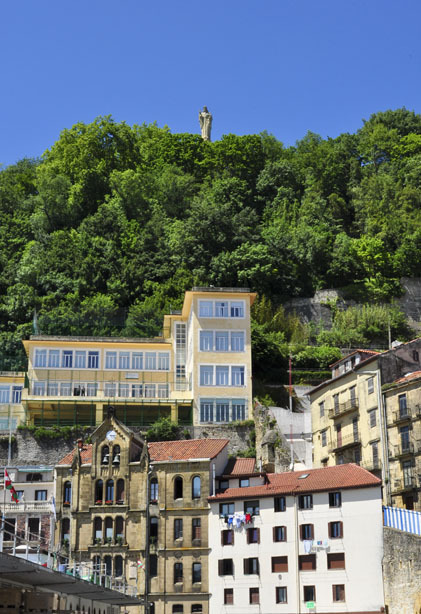 San Sebastián is an attractive, elegant city with old-world charm. It bears a strong resemblance to a certain famous French City, although much smaller. With its beautiful beaches, stunning views, and famous cuisine (more Michelin stars here per capita than anywhere else), it’s no wonder it’s so popular. 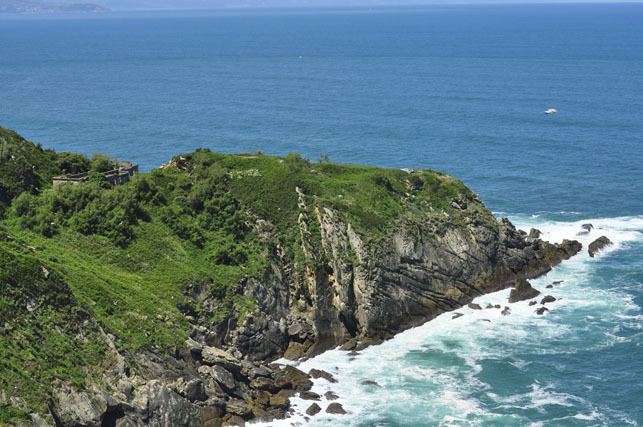 On this first, sunny day, we hiked up and around Mount Ulia, in the Gros district of San Sebastián. The views of the coastline were incredible (reminding us of a few Northern California hikes we so enjoyed). This was definitely a highlight for us here in this Basque city. 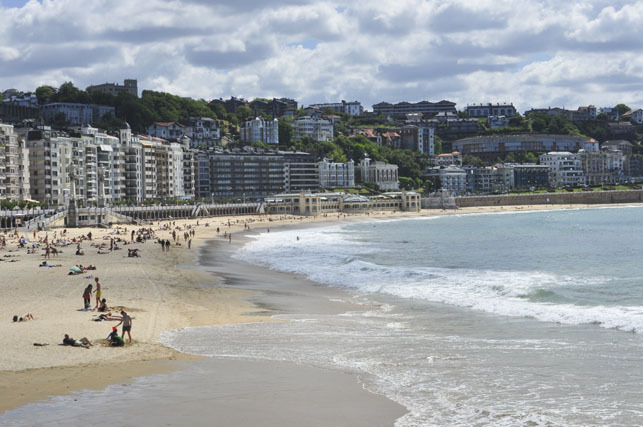 San Sebastián is home to three beaches: Playa de Gros (or Playa de Zurriola), Playa de La Concha and Playa de Ondarreta. La Concha is the largest of the three and the most popular. It has a long promenade perfect for a relaxing stroll or a scenic run. Both La Concha and Ondarreta are nestled in a crescent-shaped bay flanked by the green hills of Mount Urgull and Mount Igueldo. Besides the hike up Mount Ulia, Kevin and I also checked out Mount Urgull. 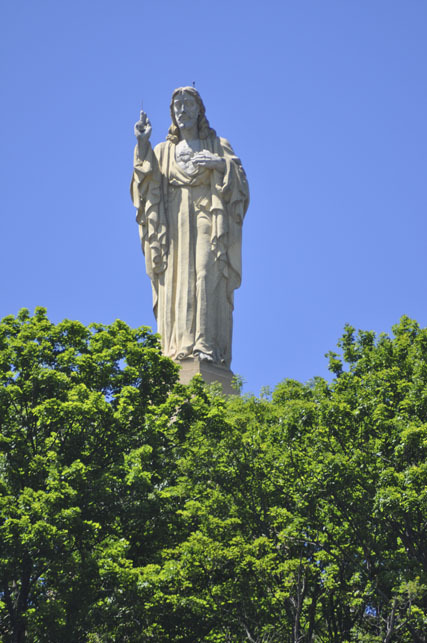 At the top of Urgull stands a grand statue of Jesus and the Castillo de la Mota (Castle Mota), which played an important role in the city’s defense many years ago. Pintxos - "The Hot Ones"
From gambas al ajillo (garlic shrimp), to grilled chorizo sausage, to the most delicious queso ball, these pintxos were special. It was here that we realized some of the best pintxos were actually the hot ones that needed to be ordered from a printed menu or blackboard. The photo above shows the sea scallops wrapped in Iberico bacon, grilled rock octopus and Iberico pork ribs from the blackboard menu at La Cuchara de San Telmo. Simply. Delicious. Although we did not visit any of the recommended Michelin starred restaurants, I think we experienced the flavors of San Sebastián just fine. 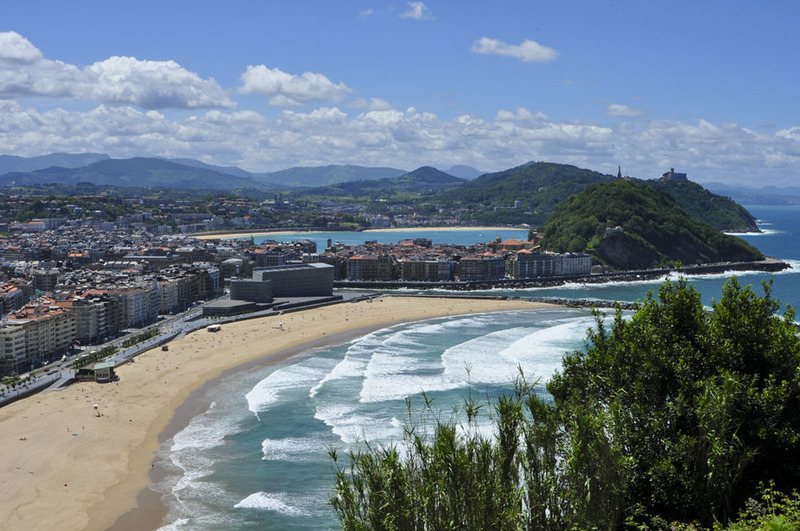 This entry was posted in Spain and tagged Basque, Pintxos, Playa de La Concha, San Sebastian. Bookmark the permalink. 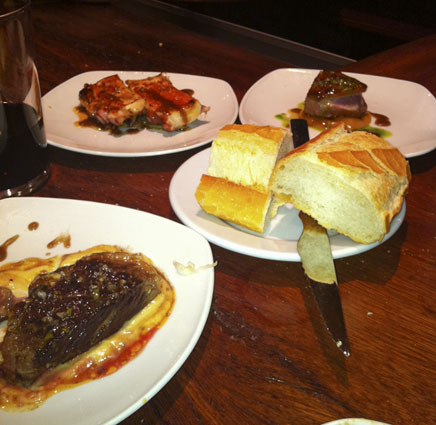 Ummmmmm, the pintxos and other dishes look delicious and most enjoyable. That view from your hike reveals a great scene and the beaches look so clean. I especially like the Statue of Jesus. The day of the hike was amazing! The sun makes everything look better.